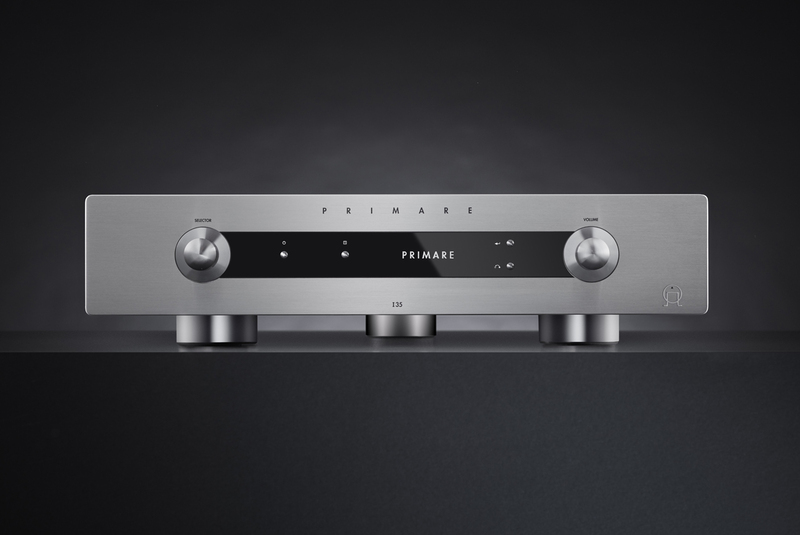 It’s easy to underestimate the capabilities of Primare’s latest integrated amplifier. But the minimalist appearance of the new I35 isn’t at all reflected in a sonic performance that’s generous and thoroughly entertaining. 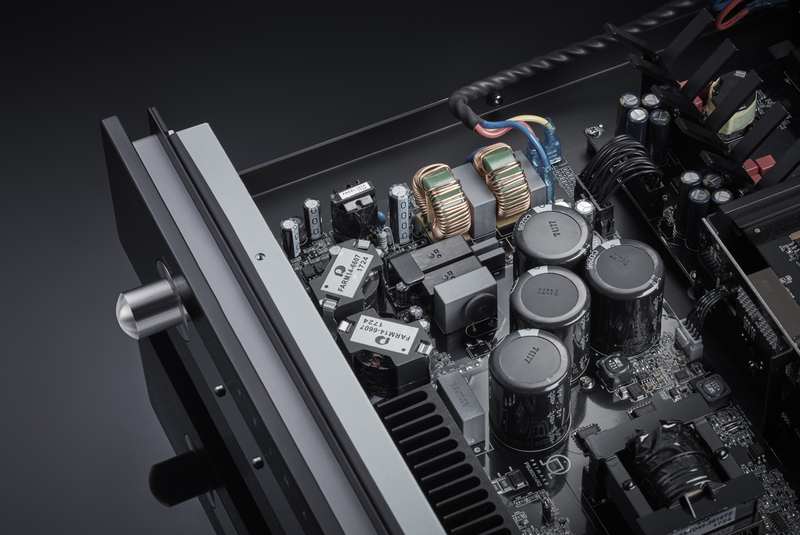 Hi-fi components have a certain appeal that is often more in the eye (and the mind) of the beholder than borne of any recognisable aesthetic excellence. Indeed, outside the circle of audio enthusiasts, many of those components look like little more than dressed up boxes. However, there are some exceptions – and Primare qualifies as one of those. You don’t have to be an audio aficionado to appreciate the brand’s minimalist design language. Even better, this is not a case of form dictating function – quite the opposite is true, in fact. While Primare’s electronics look sleek and elegant, their designs pay as much attention to pragmatic aspects such as ergonomics and ease of use as they do to visual and tactile appeal. No surprise then that Primare is a Scandinavian company – Swedish to be precise. After all, only the Scandinavians can make ruthlessly practical and unambiguous design also look good. Really good. The Primare I35 integrated amplifier is the latest addition to a range of products that is currently undergoing an overhaul. The sleek cosmetics are typically Primare: uncluttered, simple to use, and easy on the eye. The I35 can be ordered in three different versions. 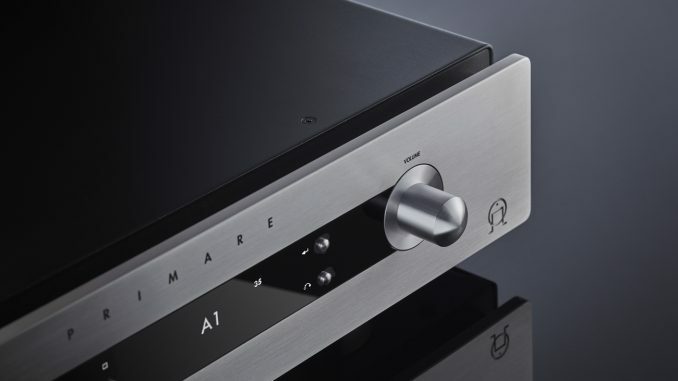 As tested here, it’s a stereo integrated amplifier with analogue inputs and the latest version of Primare’s Class D amplification technology. More about that later. The I35 can also be had with an integrated digital-to-analogue converter based on AKM’s AK4497 chipset. The plug-in module offers two coaxial and four Toslink optical digital inputs, as well as a coaxial digital output, and can be added to a standard I35 as an upgrade at a later stage. The ultimate iteration of the I35 is the I35 Prisma, which not only incorporates the DAC module, but also a network-based connectivity, control and streaming solution. Prisma is also a retrofittable module, and includes wired and Wi-Fi networking, Bluetooth, AirPlay, Chromecast, streaming and more. At the time of writing, the I35 DAC and I35 Prisma were not available yet, but with stocks expected to arrive locally in the next few weeks, we’re planning a separate review on the I35 Prisma as soon as a review unit becomes available. Offered in either silver or black, the I35 keeps things simple with a fascia dominated by a crisp OLED display, and a minimum of buttons. Large rotary controllers look after input selection and volume, while small buttons provide intuitive access to other control functions, including a set-up menu. However, most users will opt for the slimline remote control handset, which make using the I35 an intuitive affair. The finish is top-class, accompanied by a solidity that speaks of craftsmanship and infers longevity. It really is a handsome piece of kit, and worth displaying for all to see, rather than hiding it in a cupboard. There are no surprise on the rear panel, which offers a choice of balanced and single-ended inputs, as well as single-ended fixed-line and pre-amp outputs. A tidy row of gold-plated binding posts makes for positive, fuss-free speaker connections, while the Primare also offers R232, 12V trigger and IR in/out facilities for custom install integration. As mentioned earlier, the I35 is a Class D design employing Primare’s Ultra Fast Power Device (UFPD) modules. This latest iteration of the technology is known as UFPD 2, and features significant performance improvements, specifically as far as reduced distortion and a lower noise floor are concerned. The intricacies of UFPD 2 preclude a full description in the context of this review, but for those interested in delving into the technical details, a full design brief dealing with the technology can be found here. Primare claims exceptional linearity, fast responses and high current output, which suggests the I35 should have no problems coping with difficult loudspeaker loads. Claimed power output is 150 watts/channel into 8 ohms, and 300 watts/channel into 4 ohms. The Primare was hooked up to our KEF R500 reference floorstanders via TelluriumQ Blue bi-wire cabling, with the source signal provided by our Lumin D1 network streamer, sourcing content from Lumin L1 and Synology 214se NAS devices. A Marantz KI-CD Pearl Lite CD/SACD player was also used, connected to the Primare via XLO Reference interlinks. An Electrocompaniet PI-2D integrated amp served as a sonic counterpoint. The Primare displayed a liquid, easy-on the-ear approach that was instantly appealing and ultimately revealing. The amp was able to grasp the essence and character of the music with a confidence that benefited both the credibility and accessibility of the performance. The delivery was pacy and precise, with plenty of grip and control, even at high listening levels. At the same time, the Primare allowed the music’s natural timing and rhythm to shine through. The amp wasn’t scared to do full justice to the kind of deep, powerful bass that can intimidate lesser designs: it reproduced those low frequencies with all the energy and tactile intensity they deserve. There was a slight bloom to the midrange that added presence and realism without tainting the overall sound, while trebles were sweet and detailed. The I35 isn’t warm in the tube sense of the word, but certainly tonally approachable, and never cold or clinical. The amp’s accessibility extended to a real talent for generous, smoothly rendered soundstaging that afforded the music plenty of dimensional scope. It allowed large-scale performances to be produced with authority and realism, but it was equally adept at recreating the ambience of more intimate ensembles. The eloquent sax and almost tactile bass on The Yellowjackets’ ‘When It’s Time’ (off A Rise In The Road) sounded rich and real, thanks to ample tonal depth and close attention to the finer nuances of the recording. That said, the almost tender piano and the percussion’s delicate splashes of hi-hat remained clearly present, creating a perfectly balanced sound picture rich in detail and texture. The Primare’s ample headroom and control was ably demonstrated on Robert Plant’s Lullaby and … The Ceaseless Roar. Here, the intricate rhythms and complex arrangement of ‘Rainbow’ showcased the amp’s poise: it easily picked its way through the dense layers of vocals, guitars and percussion, while also recreating the music’s expansive landscapes. Plant’s restless, weather-beaten vocals dominated proceedings with just the right level of verve and energy, while the amp’s ability to reflect the airy atmosphere of the recording added to the realism and engagement of the music. Yello’s Flag might be considered too gimmicky to be taken seriously, but I enjoy the irreverence and humour of the Swiss duo, and the album is also a good workout for any system. On ‘The Race’, the effects are almost cinematic in their surround-like-staging and complexity, while the percussive attack can be almost physical at louder volumes. The Primare navigated its way through these challenges without raising the proverbial sweat, always remaining in supreme control and extracting impressive tonal depth and composure from the KEFs. Eugene Istomin’s measured and insightful reading of Mozart’s Piano Concerto No.21, accompanied by the Seattle Symphony under Gerard Schwarz’s direction, showcased the fluid and revealing nature of the Primare. Istomin’s piano sounded regal and commanding, with the amp faithfully capturing the timbre and percussive intricacy of the instrument. At the same time, it did real justice to the orchestra’s sweeping symphonic vistas, conveying a compelling sense of scale and grandeur. The Primare I35 might look sleek, compact and minimalist, but it performs with a robust assurance that comes as a welcome surprise. It packs a mean punch in terms of sheer speed and power, but qualifies those traits with insight and accessibility. On a practical level, the ability to upgrade the I35 by adding in DAC and Prisma network plug-in modules protects the initial investment and to some extent future-proofs the amp going forward, given the possibility of fitting updated modules, should they become available.